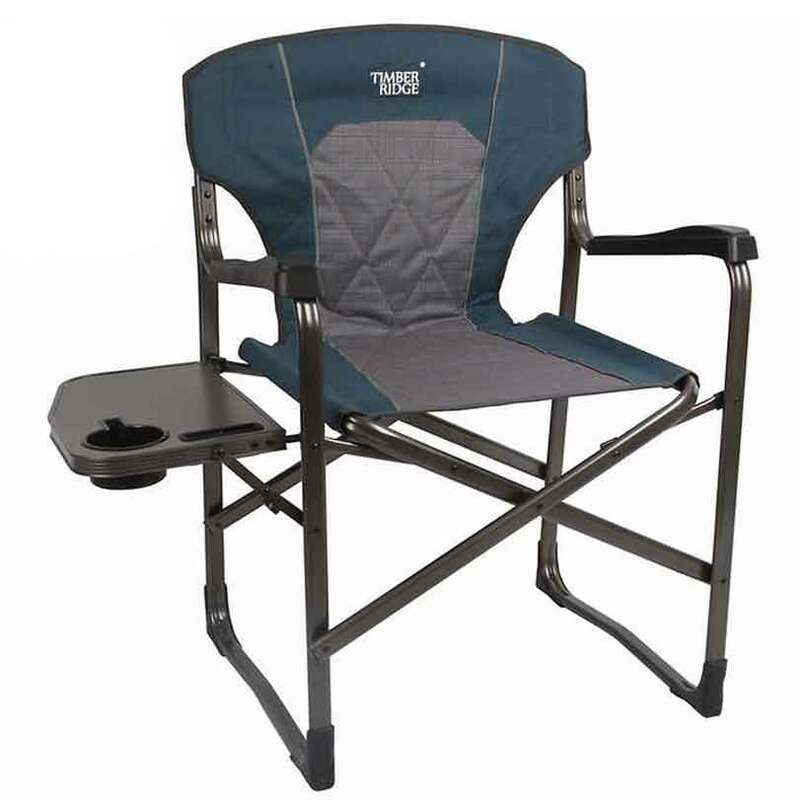 The 2017 Timber Ridge Director's Chair is designed with full padded polyester fabric and a molded hard armrest for natural support. The aluminum tube with powder coating makes it durable and easy to clean. 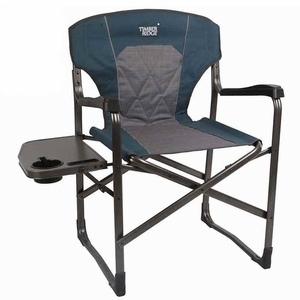 Integrated side table with built-in drink holder folds flat against the folding chair frame for easy storage and transportation. 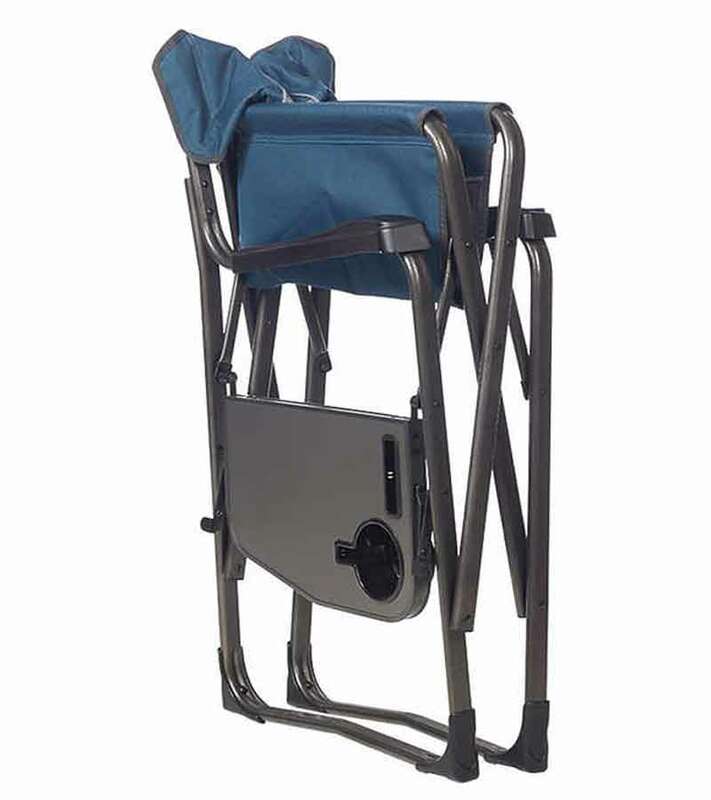 Features: 600D polyester with PVC coating and PU foam padding Heavy duty aluminum frame with powder coating Flip down side table with cup holder Reflective tape for visibility at night Molded hard armrest to provide comfort Folds into flat size for easy transportation Dimensions: Open: 35.43" x 20.08" x 37.40" Folded: 21.26" x 7.09" x 35.83" Weight: 9lbs Supports up to 300 lbs Depth: 35.43 in. Fixed/Folding: Folding Frame Material: Aluminum Height: 37.4 in.